Parenting is one of the toughest jobs that many people could have. Except for the obvious of providing food and shelter – decisions that you make and the way that you parent can affect your child for the rest of their lives. It’s important to be involved in your child’s life and to provide them with the knowledge and tools that they will need to survive in adulthood. You can never start too early teaching your kids responsibility and life skills. As tech becomes an integral part of life, cyber parenting is a must. 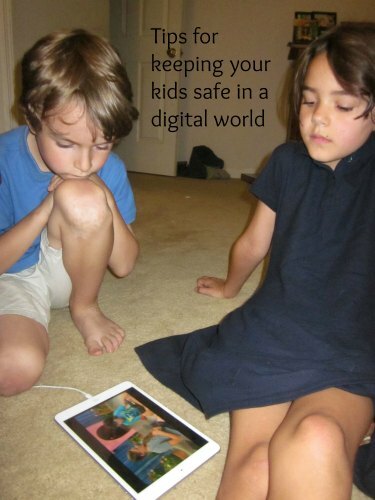 Here are some parenting tips for raising kids in a digital world. With the pressures of childhood today, many kids are getting into trouble or growing up too quickly. Technology has a great deal to do with this. With the amount of information (both bad and good) that is out there right at your child’s fingertips, it sometimes allows them to be exposed to things that their parents wouldn’t have even known about at their age. If you don’t monitor your child or teach them how to process this digital information in a healthy way, you are asking for trouble. Don’t pretend internet predators don’t exist. As soon as your child is old enough to use the internet unsupervised, you need to tell them what’s out there. Show them examples of people who may be predators online or let them read news stories. Give them the warning signs and encourage them only to talk to people they know on social media or in chat rooms. Join Facebook or other social media yourself so you can monitor what is going on in your kids accounts. Although it won’t allow you to see private chats, you can keep tabs about the information that your child is publicizing to the outside world. Letting your kids know that you will be checking in from time to time may give them the motivation to be more careful about what they post online. Using remote tracking software may help you view real-time what your kids are looking at online, who they are talking to and how much time they are spending on certain sites. You can choose as a parent to review this information on a weekly basis or only use it if your child exhibits warning signs like depression or another change in behavior. Even though you may not use it frequently, you should still have it installed on their PC, tablet or smart phone in case you need it. The American Academy of Pediatrics (AAP) suggests that kids over 2 spend no more than an hour or so per day using media like TV, tablets, computers or smart phones. Give your kids limitations to how often and when they can use their devices. Make sure that they unplug an hour before bed to allow for a restful sleep. Setting boundaries and checking in are important to raising kids in a digital world. If you give them some freedoms with boundaries, technology can be a powerful tool in learning and growing into a productive adult. It is so scary out there, so you do have to talk to kids. A good friend recently realized that her neighbor’s 13 daughter was using her wifi to “chat” with an out-of-state 18 year old. Luckily, a 13 year old friend realized it was dangerous and told an adult before anything bad could happen. These are all important points. I have written several articles on this topic as well. Thank you for sharing this important information Scarlet. Thanks for writing this article! What we can do as parents to protect our children from potential dangers is to be involved and talk to them as much possible….in the end kids learn how to cut corners and may get involved in things that we can’t control…being available to them if they need our help, and preparing them to read signs of danger, may really help to prevent and avoid bad situations….good post and great tips!